Will the Red Hood's latest campaign be his last? Jason's hot on the heels of the drugs he and Arsenal recently tracked to Beijing, but instead of finally encountering the mysterious Solitary, he finds himself face to face with a figure from his past. 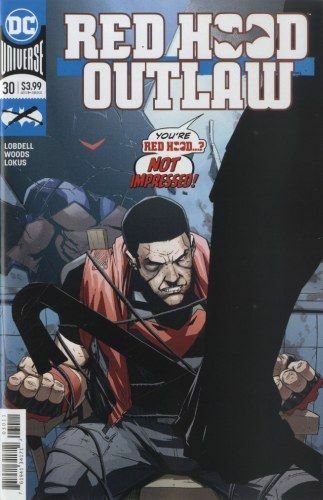 Plus, who's the new Wingman, and why's he tracking the Red Hood? And how can he and Jason be in the same place at the same time? Find out in 'Outlaw' part five!